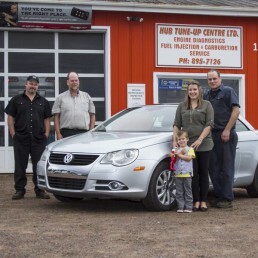 All repairs & services are performed at our 3 bay facility at 138 Truro Heights Road under the supervision of licensed mechanics Martin Vissers (38 years experience) and James McLeod (10 years experience). Regular business hours are Monday to Friday from 8 a.m. to 5:30 p.m. Customer shuttle services are available. After hours may be available upon request.